AWS Chicago Section Members are encouraged to participate in their section. The Chicago Section Committee asks that you review and vote on our sections’ committee’s bylaws. There will be a link to survey monkey where you can complete voting there. 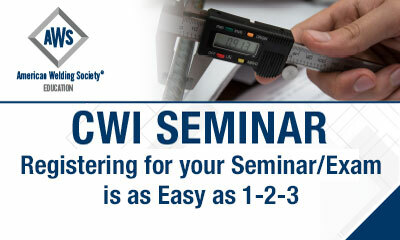 THE AWS CWI SEMINAR IS COMING TO YOU! Register today and prep with the best. *ACT NOW - EARLY BIRD RATES END MONDAY, JUNE 30! The AWS Certified Welding Inspector (CWI) Seminar helps skilled, knowledgeable welders prepare for the AWS CWI exam. Seasoned instructors will teach you the material you need to know, train you to use and understand the latest technical standards, and provide tips to help you do well on the exam. With national and international recognition in the welding industry, the CWI certification has been the benchmark companies rely on to ensure the highest level of workmanship. 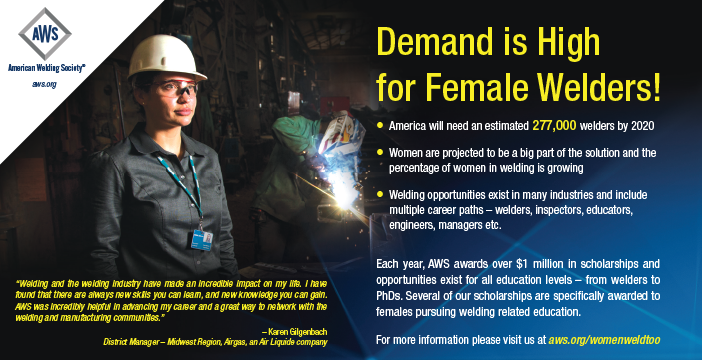 Don’t let this opportunity pass you by; sign up and benefit from this chance to advance your career!